MANILA, Philippines - More than a week ago, heartbreaking photos of a weeping Jennilyn Olayres holding her dead husband Michael Siaron made rounds on social media after it was captioned by Inquirer “La Pieta,” a world-renowned sculpture of Mother Mary holding the deceased body of Jesus Christ. 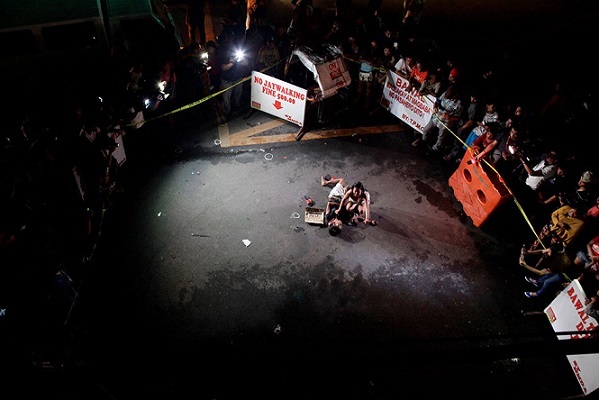 Siaron, a 30-year-old pedicab driver accused of peddling illegal drugs, was gunned down by motorcycle-riding men past midnight on July 22 in Pasay City. He was waiting for passengers at the time he was killed. 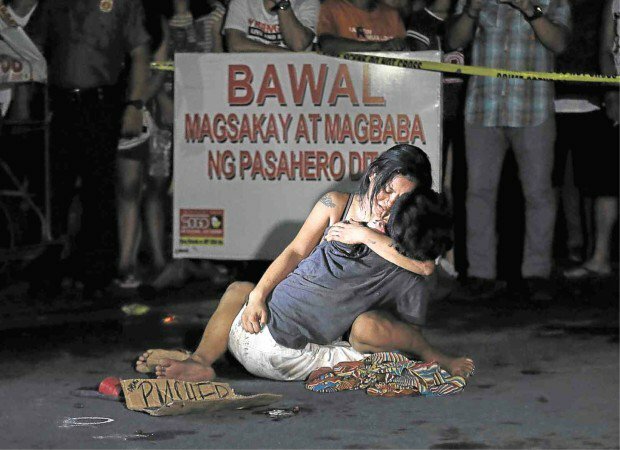 Although the photos of the slain suspect evoked favorable and unfavorable comments from online users, President Rodrigo Duterte labeled the photos are melodramatic. "And you are portrayed in a broadsheet na parang Mother Mary cradling the dead cadaver of Jesus Christ. Eh 'yang mga 'yan, magka-dramahan tayo dito,” the 71-year-old President said in his first State of the Nation Address (SONA) on July 25. In her interview with ABS-CBN News, Olayres admitted that Siaron was a drug user but denied he was dealing since they were too poor. Upon learning that her husband had been shot, Olayres who was just wearing sando at that time sprang barefoot to the scene where she found her husband’s lifeless body sprawled on the street. A cardboard sheet with the word “pusher” written on it was placed beside Siaron’s body. According to a report by Reuters, Olayres urged Duterte to “kill drugs, not people”. "They must kill the ones who don't deserve to live anymore, the ones who are a menace to society. Because they cause harm to others. But not the innocent people," Olayres said. "I don't need the public's sympathy. I don't need the President to notice us. I know that he doesn't like this kind of people. But for me, I just hope that they get the true offenders,” she added. Olayres is currently raising money to cover the funeral expenses of her husband. Pasay Mayor Antonio Calixto has offered financial help for the burial. 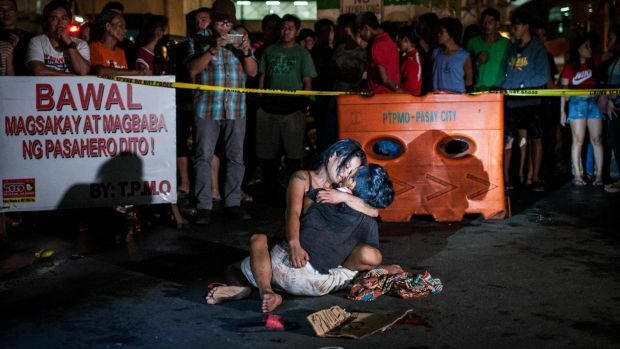 Hundreds of alleged drug users and dealers were killed in anti-illegal drug operations as well as vigilante killings following Duterte’s ascent to office.